Training solo became the norm for me last year. Ever since I left the Hansons-Brooks post-collegiate marathon training group to become a full-time mountain/ultra/trail (aka “MUT”) runner I’ve learned to coach myself while tackling endless, unglorious miles accompined only by my own pitter-patter of footsteps and asthmatic breathing. It has been a refreshing change of pace (pun intended). The group training experiences that structured my high school, college and early post-collegiate training and racing eventually felt confining and restrictive. 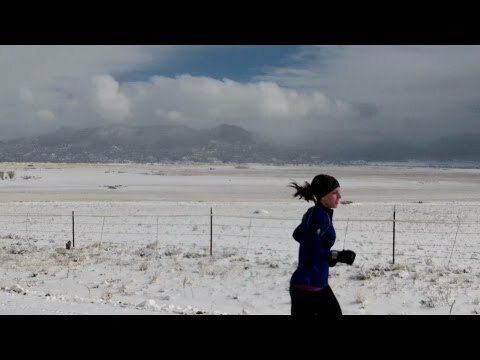 While I’ve appreciated the inspiration and motivation that many of my teammates provided in these group training environments (including Olympians like Brian Sell and Desiree Davila), I’ve found new joy in the freedom and flexibility of running on my own time each day and exploring new trails and mountains on a whim. But the loneliness of the long distance runner lacing up his or her shoes run after run leads to many quiet miles that can also become unfulfilling at times. It seems that some particularly enriching experiences (such as those found on some epic mountain/trail runs) are inherently best when shared with another free spirit. Sometimes the heart aches for the ability to express itself to another; it desires to bask in the company of a different pulse and become stimulated by a sense of open communication soaked with emotion. This year, I’ve been fortunate enough to be with a partner whose passion for running, creative works, and life motivates me to become not only a better runner but also a better person. This individual of course is my ultra-running-artist girlfriend, Sandi Nypaver. First run Sandi and I went on together (just above Buena Vista, Colorado). Although she is 2.5 years younger than me, Sandi is usually a lot more mature acting than I am. She started running later in life but has covered a tremendous distance (literally and figuratively) in her young adulthood by overcoming many odds and obstacles. As a collegiate basketball player Sandi always had the dedication and drive to compete as a top-level athlete. From putting in extra time in the weight room and on the court, to shooting hoops in her front yard, Sandi and her sister Rachel developed a high level of self-discipline at a relatively young age. 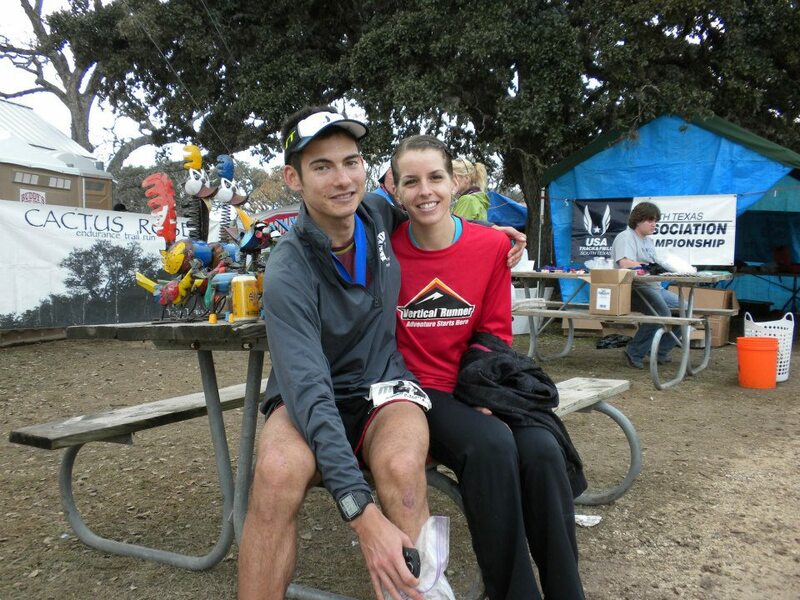 Her first ultra-trail race was no less than 100 miles (she won). Sandi has always been a badass. 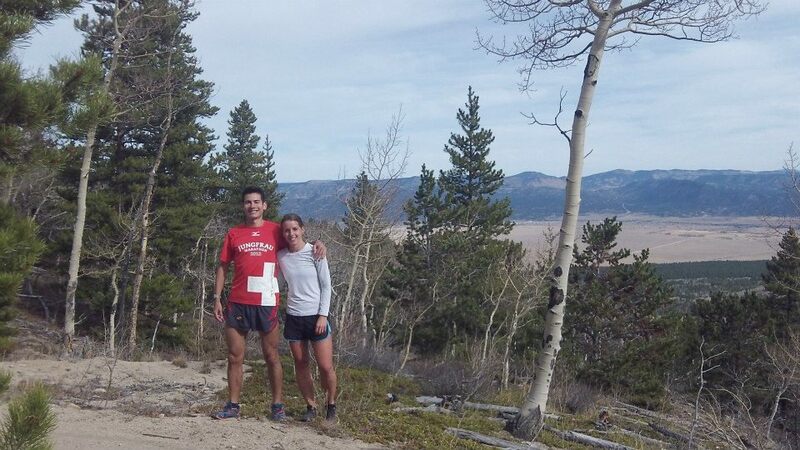 If I hadn’t made the switch from pro road marathoning to ultra-trail-mountain running I probably would’ve never met Sandi – and if Sandi hadn’t stopped playing basketball and gone on an expedition to the arctic circle she probably would’ve never have met me. Funny thing how such decisions in life can influence who you meet. With Sandi running has been more about sharing an experience than worrying about paces and heart rate zones. From the frustrations of getting lost and climbing up treacherous class 3 boulders to sharing a Kind bar while enjoying mountain views from over 12,000 feet above sea level our training together has been tremendously rewarding. In the past month Sandi and I have traveled running from the Mountains of New Hampshire and the beaches of Boston to the forests of the Pacific Northwest and a ski resort in Utah. We’ve camped up at 11,000 feet near the San Juans in Telluride, CO and slept in our car near the side of a highway just above Salt Lake City. 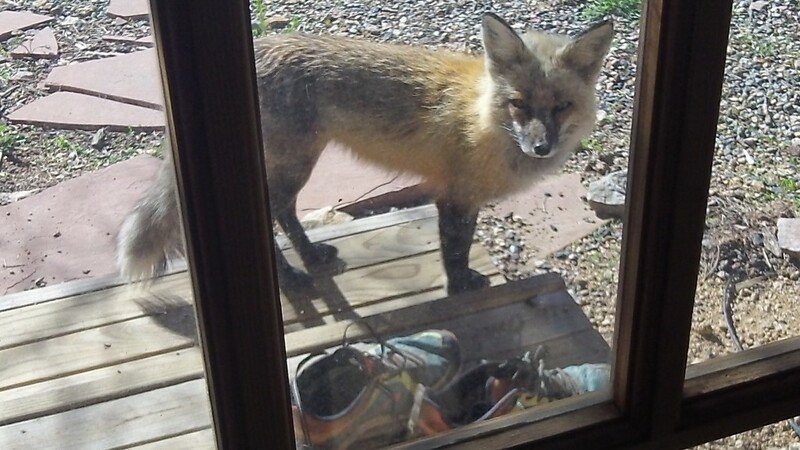 We’ve raced 50 miles together, met each other’s parents, and enjoyed the company of a fox, moose and bobcat. Some say that Running is a form of individual self-expression. I’ve found this to be true, but I’ve also come to realize that the passion for such self-exploration of preconceived “limits” derived from running is also contagious. Happiness can be gleamed from sharing more and more moments together with a special someone who relates to the lifestyle of a professional ultra-trail-mountain runner; an individual who can share battlewound scars and laugh about getting lost; a counterpart one’s soul that embraces both creativity and humane/healthy vegetarian food! Sandi has made my running more enriching by adding more meaning to my life. This one’s for you babe! Sage, it sounds like it’s time to pop the question. Don’t let a perfect stranger tell you what to do, but when it’s right it’s right. I got engaged after dating for exactly one year. 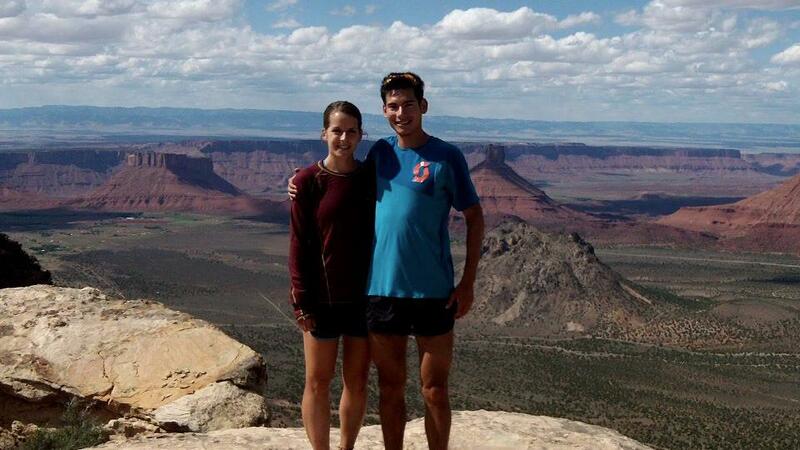 We’ve been happily married for 2 years and Jen makes me a better runner and person too. Go for it!!!!! hey thanks for the advice! that’s a great story with you and Jen. Sandi and I are looking forward to many more adventures together! ha ha, I’ll find a HOKA One! hey thanks Dave! hope you are doing well. Congrats on the big win yesterday, Sage! You’re having an awesome year man! keep it up. On an unrelated note, this post reminded me of the song “Hey Sandy,” (opening song to the show “Pete and Pete”, and straight out of my childhood). Hey thank you! Classic song!